Following the launch of M-SERIES/SAP HANA certified Virtual Machines (VMs) on Azure, we are happy to announce a new marketplace offering in partnership with SUSE. 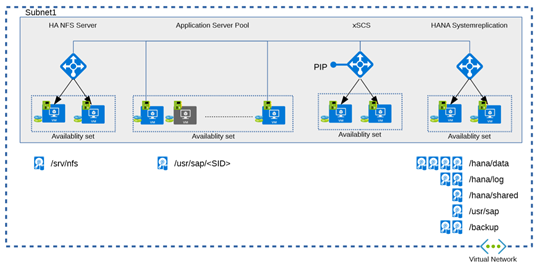 The offering leverages Azure Resource Manager Templates to automate the rapid provisioning of an SAP HANA infrastructure in Azure with SUSE technology. The templates deploy VMs which are optimized for SAP HANA using the latest pay-as-you-go version of the SUSE Linux Enterprise Server for SAP Applications operating system. The templates are based on a simplified SAP sizing in four t-shirt sizes Demo, Small, Medium and Large. Each template first lays the network foundation by implementing an Azure Virtual Network, enabling subnet customization and Network Security Groups. All templates use Premium (SSD) Managed Disks and can be deployed in 2-tier, 3-tier and 3-tier high availability (HA) architectures. The Demo and Small templates are targeted at non-productive SAP HANA workloads. The Medium and Large templates can be used for productive SAP HANA workloads and are based on best practice for storage configuration and utilizing Write Accelerator technology for sub-millisecond writes of the SAP HANA transaction log. An overview of each template is shown below with an extended overview of the 3-tier HA template showing VM sizes for each t-shirt and database storage for the “Large” t-shirt. Please refer to the linked technical document on the SUSE website for the complete technical overview. 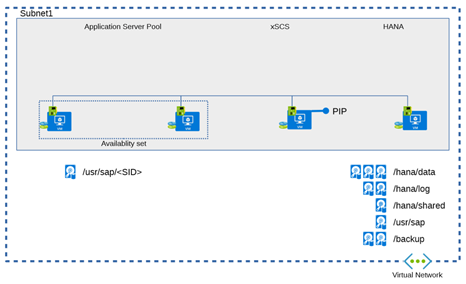 The 3-tier HA template will deploy the VMs for the SAP HANA database (DB), xSCS, HA-NFS, and Application servers in Availability Sets with Azure Internal Load Balancers deployed for the DB, xSCS and HA-NFS clusters. With the proper post-processing activities this will allow you to reach an infrastructure SLA of 99.95 percent. For detailed technical solution information, please refer to the SUSE best practice documentation. In future releases the SUSE Microsoft Solution Templates will be extended to include automated configuration of the SUSE Pacemaker cluster integrated with Azure Load Balancer, Availability Zone deployments and M-SERIES/SAP HANA scale-out. 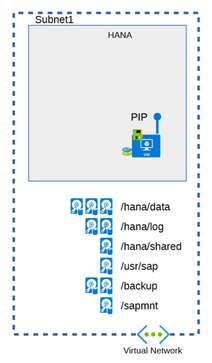 Click to get started and Accelerate your SAP on Azure HANA project.